On Friday 29th June, Valley of the Kings (VOTK) will be hosting another ‘gender expanding’ open mic night – this time at the Quantum Exhibition Centre, 77 Upper Trinity Street, Digbeth. As opposed to tickets, the event is being marketed as a ‘pay what you can’ night with the suggested donation between £3 and £6. 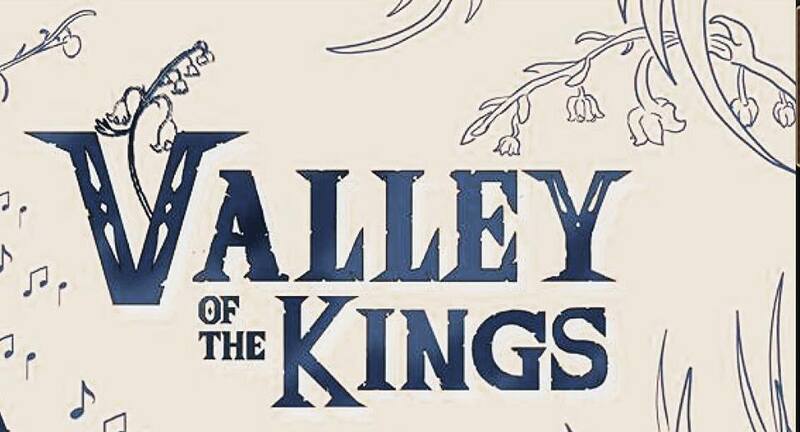 This latest Valley of the Kings begins at 8pm and is scheduled to run until late – for direct event info, visit the Facebook Event Page by clicking here. Scratch below the surface of Birmingham’s drag scene and you’ll find events such as Valley of the Kings. This is open mic night, but not as we know it – as opposed to acoustic renditions of pop rock stalwarts, expect to see ‘gender adventurers’ cavorting across the stage and lip syncing to their songs of choice. The ‘rules’ of the evening are fairly simple: message the VOTK Facebook Event Page to book a performance slot, decide on your character, turn up, and perform. Or just watch, if you’re an introvert like me. And for those moments of last minute bravery, the VOTK hosts are also offering a ‘newbie nursery’ for people who decide to perform on the night, where they can get to Quantum slightly earlier and request a song to perform once the audience arrives. Performers who pre-book are guaranteed free entry and a changing room (saving you an awkward Uber ride over) with Glittercreep Face & Body Art on hand throughout the night to cover any available skin with, you guessed it, copious amounts of glitter. Wonderful. For the budding performer, this is a fun and embracing opportunity to dip your toe into Birmingham’s ever growing drag scene; VOTK is one of the few monthly ‘gender expanding’ events that Birmingham currently has to offer, and the open mic setup allows you to trial a character to your heart’s content. With more established personas such as Lucius Blac, Abel Valentine, Dean the Destroyer and (our team’s personal favorite) Johnny Gash performing, it’s clear that there are few boundaries to what’s good to go on stage. And whilst drag queens are a prominent fixture on Birmingham’s event calendar, it’s always refreshing to see a night this inclusive – where individuals of any gender, style, or ability are welcome to perform. But as the VOTK Facebook Event Page says, this is ‘an exploratory dig into your inner drag demon. Excavate the hidden gems of your pseudo macho womb by miming along to your favorite song in front of fellow gender adventurers.’ Which although sounds slightly terrifying still fills me with excitement. From the safety of my seat, at least.